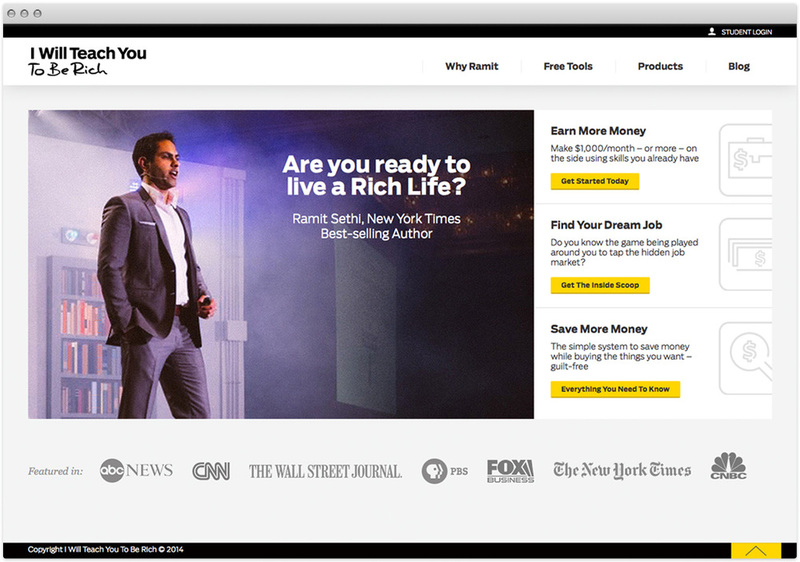 In addition to his New York Times Bestseller, "I Will Teach You to Be Rich," Ramit Sethi had a big decade launching some of the most prolific programs. A complete visual brand overhaul was needed to step up his already big game to another level. Work completed at Majorminor. Creative Direction by Rob Martin.